"He drinks. He smokes. He gambles. He curses. He thinks about committing adultery. You'll love him." Let It Ride is a comedy action film that was released in 1989. Let It Ride involves a cabdriver who happens to overhear a group of mobsters mention that they have fixed a horse race. This allows for the cabdriver to win a huge sum of money off of his bet on the race. However, the only problem is that the poor cabdriver simply cannot stop himself from gambling. This leads to him either finally winning big, or him losing all of his money. Along the way, the cabdriver has to dupe the group of mobsters who want to get revenge on him for ruining their odds on the race. Let It Ride is based on a book written by Jay Cronley, and it was adapted with the help of Nancy Dowd. The film was directed by Joe Pytka. 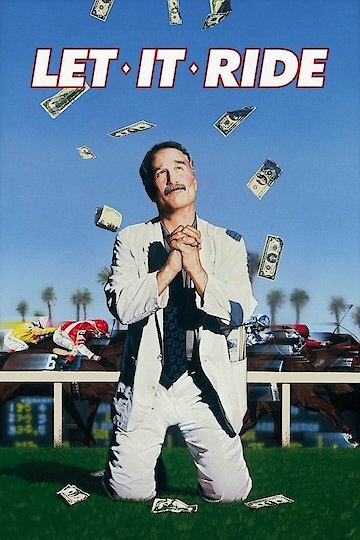 The lucky cabdriver is played by Richard Dreyfuss, and it features performances by Teri Garr and David Johansen. Let It Ride is currently available to watch and stream, buy on demand at Amazon, Google Play, FandangoNow, iTunes, YouTube VOD online.